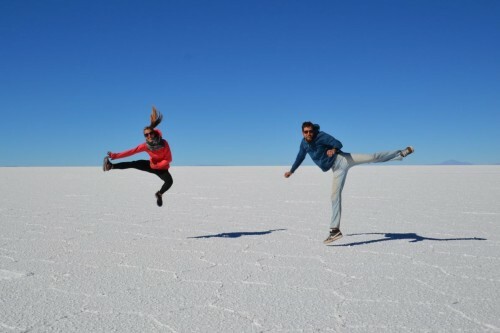 Leaving San Pedro de Atacama -still traveling together with Daniel & Maike-, we aimed for the Bolivian altiplano and its famous salt flats and colourful lakes. 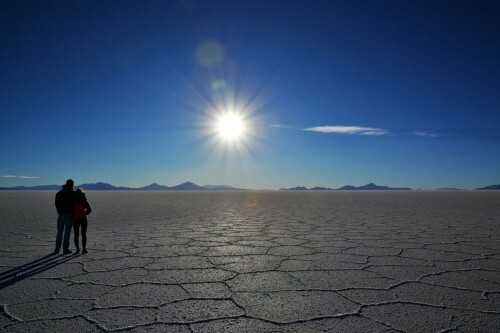 We took the shortest way into Bolivia close to laguna verde and would work our way up towards laguna colorado, laguna Hedionda and all the way to Salar de Uyuni in a 3 day long roadtrip. Only 500Km but we sure needed the 3 days! 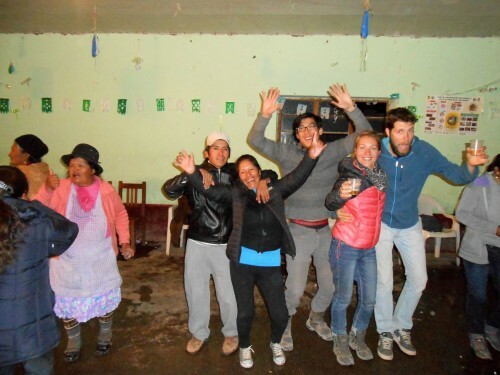 As soon as we crossed the ‘border’ (cabin in the middle of nowhere) with Bolivia we got off the paved road. 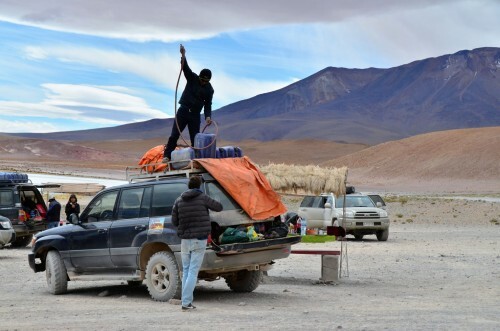 Having a sturdy car and 4×4 if necessary, we were assured that would be ok. But what everybody forgets to mention is that there are no real roads, or better, everywhere you can see is the road. Wherever you see yourself able to drive you can choose a path and follow it. That’s how it works. Needless to say the off road driving skills and the car itself were tested to its limits. 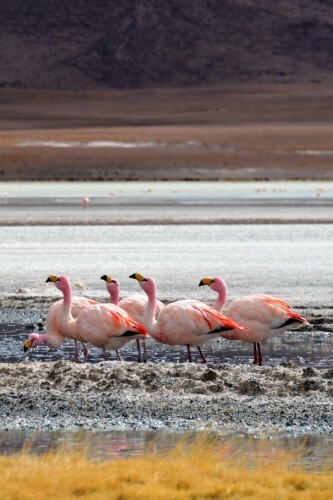 But what a nice drive it was: through desolate valleys, next to sand dunes, between volcanos and around beautiful lakes filled with flamingos. In this huge scenery we really felt small. Maybe because we are. 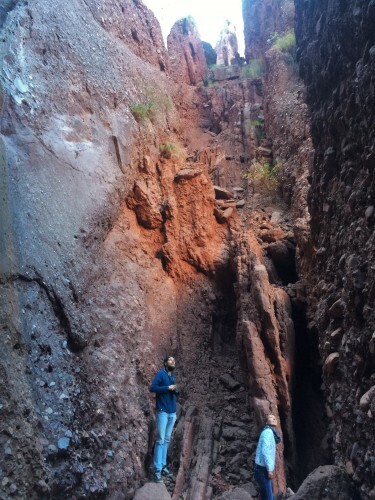 First day we crossed the border, drove to laguna verde and camped in a canyon close to laguna colorado. A car loses power the higher you go. When you drive at 10000 feet (+/-3000m) you loose 30% hp already. For example: At sea level our car has 245hp. We were driving on heights of 15000 ft so we had only +/- 135hp left. We lost 110hp. This day was road-wise the worst. 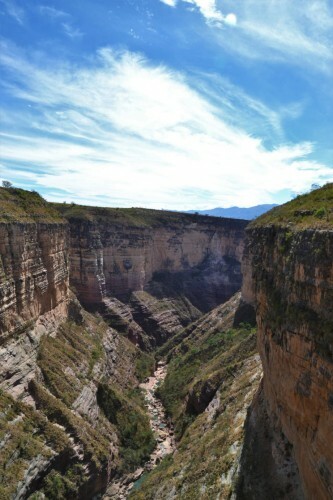 Soon after leaving the canyon and visiting laguna colorado (with amazing drone shots! See movie) the road turned into an absorbers test. 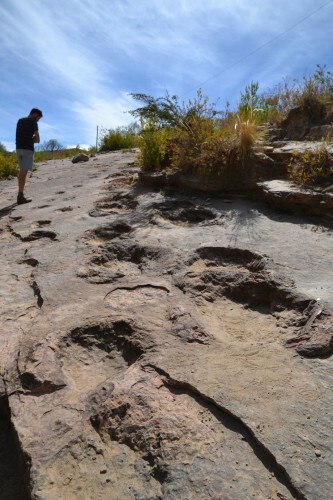 Big rocks, small rocks, huge rocks, average sized rocks, and also deep tracks, loose sand and low bushes are the indigenous specimen which they call ‘road’ over here. 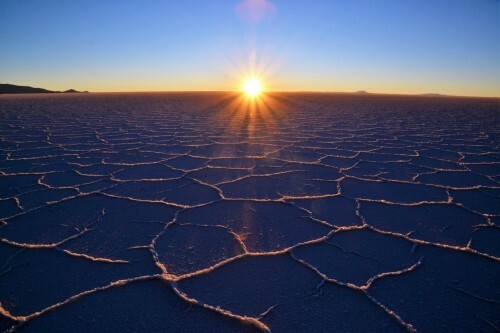 We drove hundreds of kilometers through this bare land before hitting some kind of flattened roads or salt flats where we could go a bit faster than the average 30km/h. Often it was only 10km/h in order to safely pass with the car. But again, what an amazing scenery! 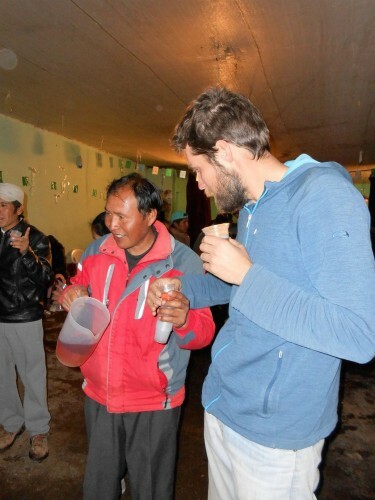 Gasoline in Bolivia is very cheap … but not for foreigners! 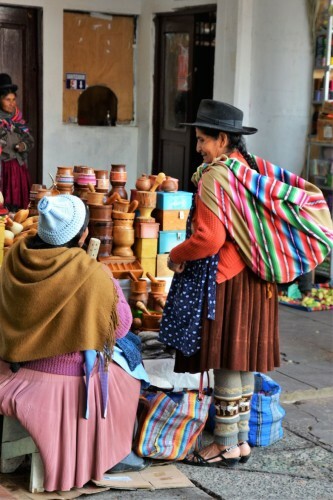 The price is 3.7 Bolovianos for them and officially 8.7 Bolivianos for us. But with some bargaining we never paid the full price. We have paid: 3.7 (Bolivian price! ), 5 , 5.5 or 6 per liter. Not more. On places where there is not much gasoline around, you can buy small amounts from other drivers with the ‘hose and bottle technique’. 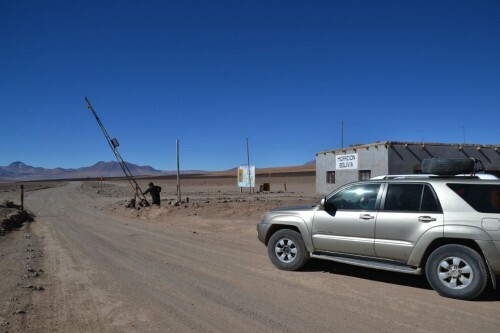 We arrived in a small local village close to Salar de Uyuni where we would camp the second night in a dead end street. 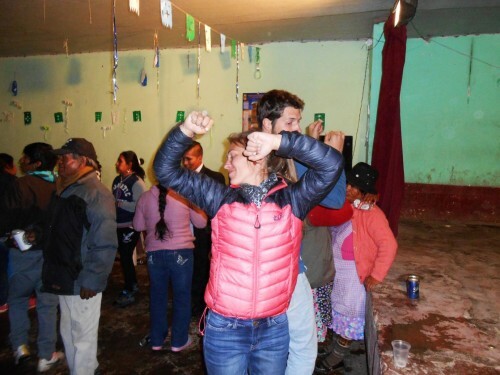 We found out that the village was having a party for “Dia de la madre”. 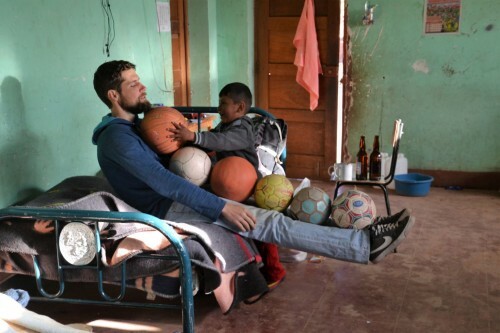 They clearly celebrate it differently then we do: not with flowers or presents but with a dance party with tons of beers and home made alcohol. 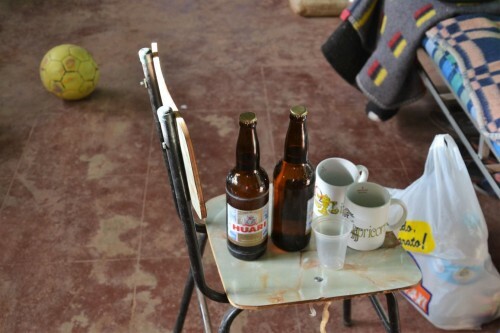 Result: we suddenly were the “invitados” of the party and got drinks offered by half of the village. In the end we skipped dinner and had only drinks for supper. Entering the party around 6PM the floor was already full of beer along with its accompanying aroma that we often have the next morning entering the bar after a big party. Not long after that we saw that everybody, when serving a new beer, pours a little on the ground before drinking. We thought they just wanted to get rid of some foam, but handling that poorly because mostly beer came out. And also strange that every single person in the room did that. 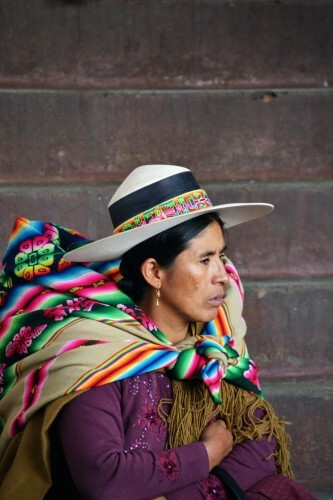 Apparently they pour the first (and last) sip of each glass on the ground for Pachamama, mother earth. 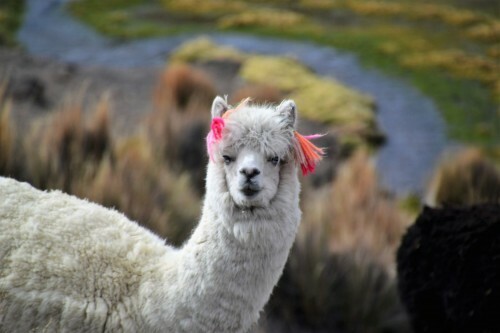 For good luck and many crops. I don’t know if getting mother earth drunk will get you nice crops, but in the desert it’s definitely worth to try! 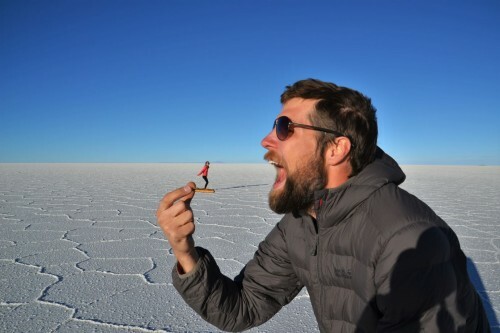 An easy way to the famous salt flats of Uyuni. 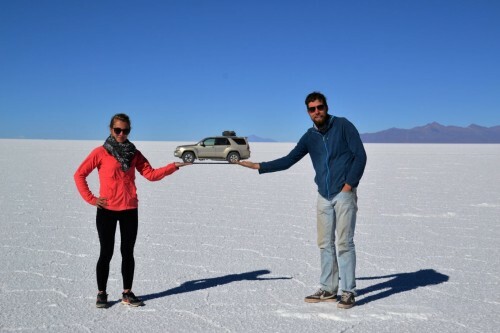 We had a nice time with taking pictures, driving around and setting up camp on an island in the middle of the salar! One of the better camping spots on our trip! 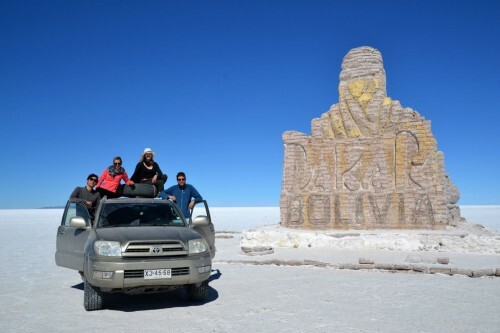 After the flats we went to Uyuni, a town next to the salt flats to have our car washed! Here a regular wash is: hose and wash the car (also under the car), grease the drive shaft and spray the bottom with oil as an extra layer against the salt. 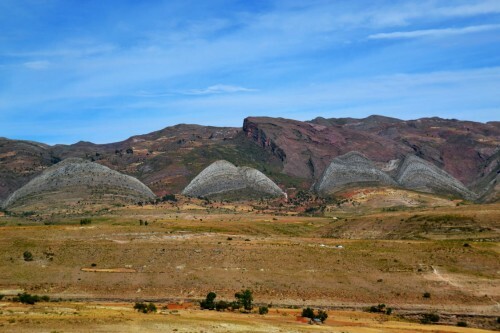 …untill we drove to a small village more south: Tupiza. The road was -of course- not paved and we drove even a large part in a river bedding between the most amazing canyons we have seen so far. 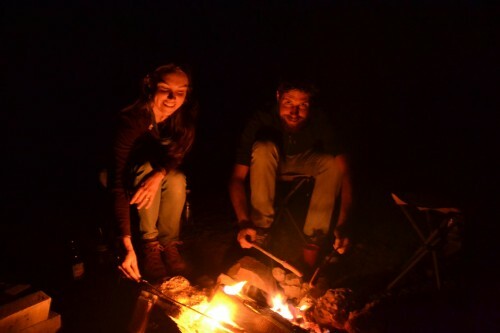 Together with Dana (yes the one from all the way south in Patagonia that we suddenly met again in Uyuni! 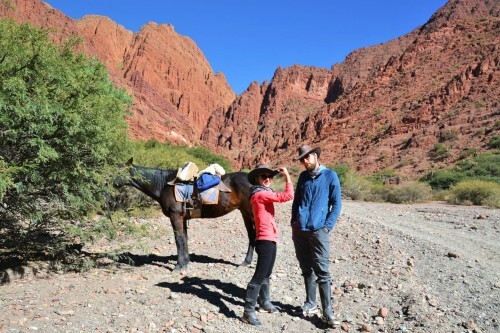 ), we camped 2 nights in the red canyons & cacti and did a 7-hour horse riding trip through the valleys. It was amazing! 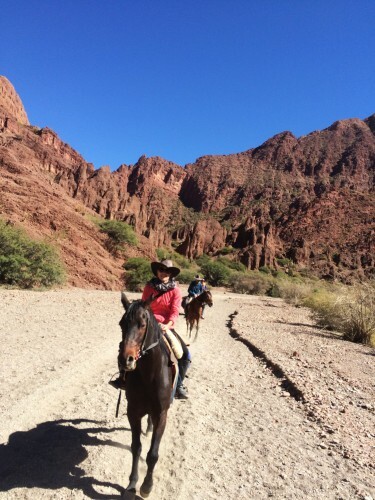 With the 3 of us and the guide we drove hours in the wild west! 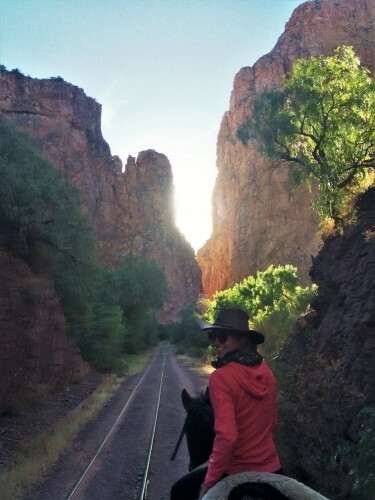 Riding between the gorgeous canyons, crossing rivers waist-deep (for the horses) multiple times, ditching numerous street dogs, following the rail road tracks in trot and even galop… again, it was amazing to explore the region with our cowboy hats on! Although the cowboy hats seemed a little less cool, when the horses totally went wild at the first galop and started racing 😉 . 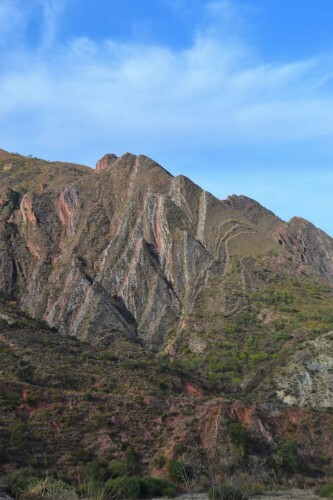 Torotoro national park: nice that -after 9 months on the road- we can still encounter scenery that feels new/different: Tectonical plates that are pushed upright and dinosaur tracks! 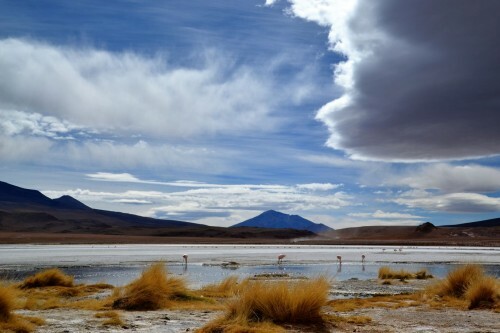 Last Bolivian stop for now: Sajama National Park. On our way we picked up a woman and her 5-year old son who were hitchhiking in the dark and with freezing temperatures. She wanted to go to her village 20km from there, so despite being it out of our way, we drove them home. They rewarded the ride home with offering to sleep in their house. 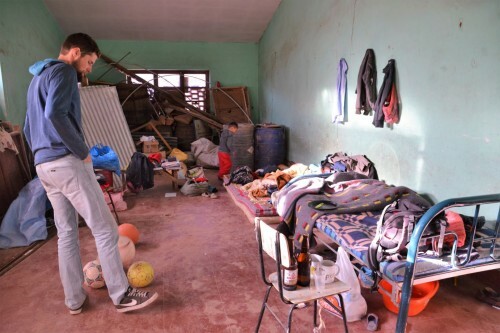 So there we were, in a Bolivian home … eye opener n° 145677… it’s hard to explain how spoiled/lucky we are. – … and so on. I don’t even mention the concrete floor, no heating and no nicely painted walls, because that’s just common. 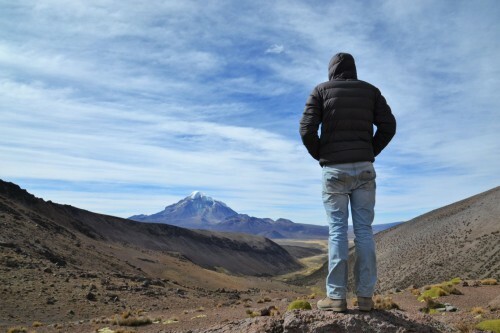 The fact that when we woke up we were offered a 625ml bottle of beer each was even more strange, but we kindly refused, shared our bread with jam – which we guess the boy never had before based on his reaction, and went on to Sajama! 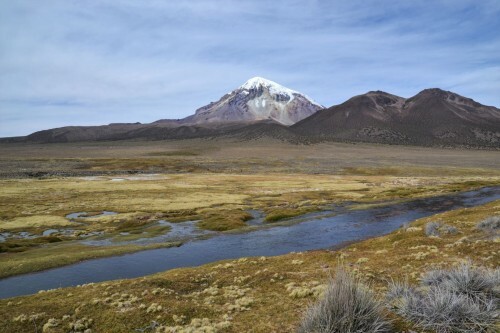 Sajama is the highest mountain of Bolivia (6542m), close to the border with Chile and is surrounded by 2 other iconic snowcapped volcanoes. 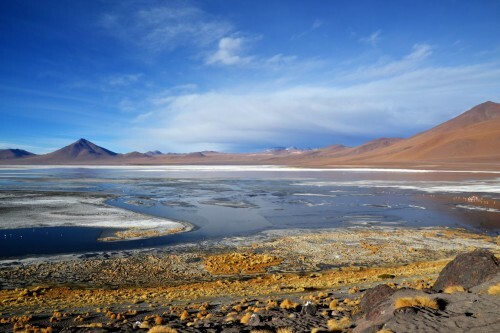 It looks like a very rough beast in the middle of the Bolivian Altiplano. And apparently it is! 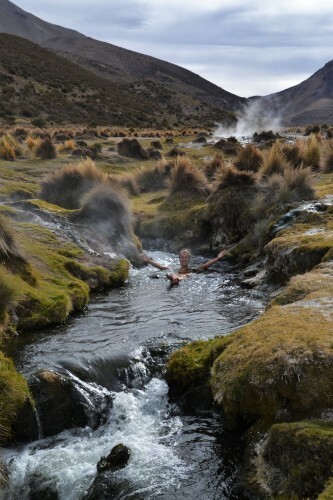 We asked around for information to climb it (maybe one day later on the trip …), hiked to the border with Chile and camped at some geysers which made the icecold river nearby a very comfortable warm bath! A bit out of the way, but highly recommended to visit! 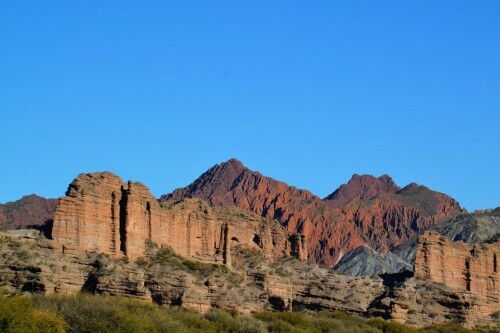 And so we crossed the border with Chile again, to see another national park before driving to Arica in the upper North to enter Peru. 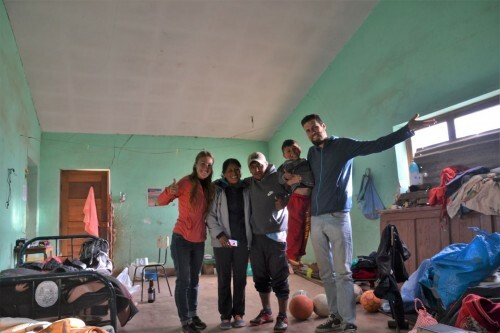 But so be it… a detour of 1000km to reach the destination of Arequipa (Peru), where a few days later we expected visitors: Céline’s mom and brother. Luckily we had some spare days so the detour was soon forgotten and we were in time to pick them up. More about the family trip in our next blog post! 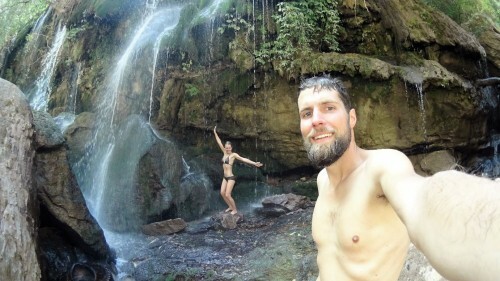 Blog en foto’s altijd wel wat tastbaarder als je zelf op die plek bent geweest eh. 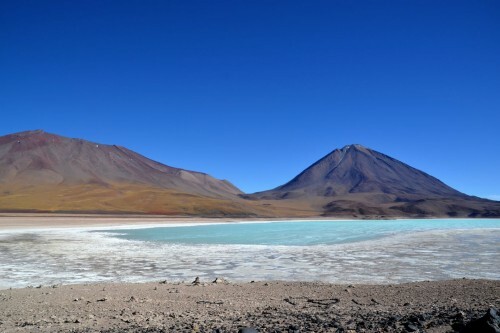 ← Desert & geysers in the north: Chile has it all!